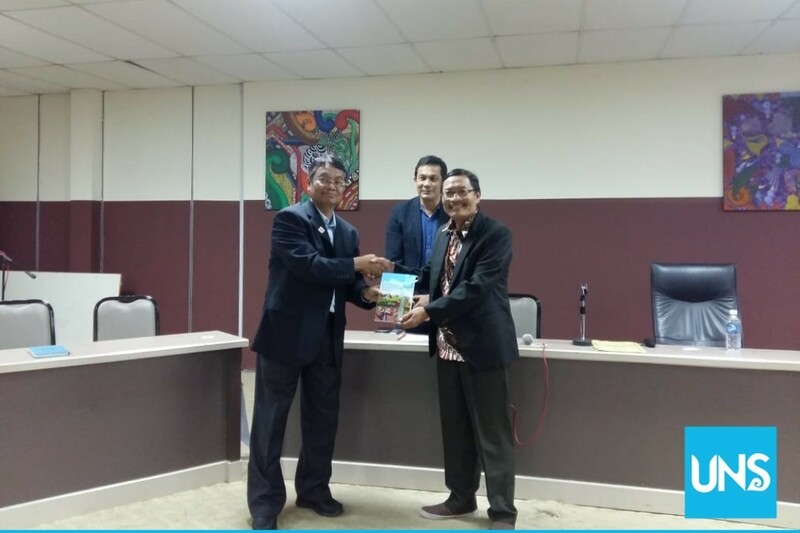 UNS – Borneo Institute for Indigenous Studies, Sabah Malaysia University (UMS) held an Expert Lecture on Friday (02/22/2019) by inviting Prof. Slamet Subiyantoro as the speaker from Faculty of Teaching Training and Education (FKIP) Universitas Sebelas Maret (UNS) Surakarta. The agenda is a realization of the cooperation between UMS (Malaysia) and UNS (Indonesia) in the educational and cultural scope. “The Expert Lecture was held in the BMU building on the third floor, Faculty of Humanities, Arts, and Heritages, UMS. It was attended by undergraduate and postgraduate students, researchers, and UMS teachers,” said Subiyantoro. The lecture was started by Prof. Rosazman Hussin as the head of Borneo Institute for Indigenous Studies, and led by the UMS IO, Dr. Tengku Afrizal as the moderator. The event was continued with a discussion that began with the lecture by Subiyantoro. The title of his material was “Structural Paradigm and Symbolic Interpretation in Ethnic Art Analysis”. He explained that every ethnic art phenomenon which had repetition and regularity of the visual elements both in the two-dimensional or three-dimensional forms was basically related to the values system of socio-culture in the society. The participants of this expert lecture were enthusiastic with the explanation by Prof. Subiyantoro.